We’re in MBA interview season, and its been gratifying to see how many R1 clients have come back with interview invitations so far. So, a few observations, hopefully non-obvious ones, on managing MBA interviews. 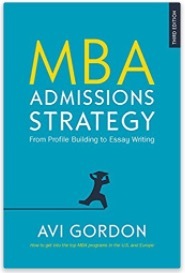 I’ve written a whole additional chapter in my book (2e, 2010) on MBA interviewing, and I’ll be adding a few more thoughts here in the next few weeks. In some of the top-tier programs you can choose to be interviewed, but in most it works the other way. They tell you if they want to talk to you. They are saying: “So far, so good. Let’s go to the next level.” You, the applicant, have to meet them there. Sometimes (depending on the school’s policy) the interview is “blind,” that is, the interviewer has seen nothing but your resume. This means you have to deal a bit more in background-catchup information. Sometimes they have seen your essays, and sometimes your whole file. The point is, whatever the interviewer knows about you going in, your job is to go beyond it. If she comes out of it thinking, “this person just told me what was in his essays or just repeated what was on her resume,” then you have failed. How do you go beyond? First establish what your interviewer knows. It’s fine to ask if she has seen your essays/file — it’s a perfectly professional question. As far as possible, don’t repeat that stuff. But, more importantly, it is time to go beyond the facts of your bio, career, achievements and get to deepening their understanding of you. Tell stories that shed even more light on you as a person, your motivations, your choices, why your goals matter to you; enhance their understanding of the value you bring to the program; give a motivated sense of how great your future is, which they could be part of … third date stuff. By the way, they are not ready to dim the lights and go to the bedroom. Nor should you be. They are still checking you out, and you are still checking them out. When they send you an admit package, then let the love-fest begin. 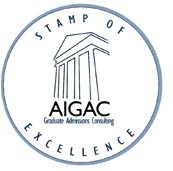 Expressing interest is fine, but expressing undying adoration for the program, its professors, its reputation and so on, at this stage would be like taking your clothes off in the restaurant.